The snow came down Friday night. It was sticky snow that clung to everything and frosted the branches. In contrast, I am learning how to make picture collages. 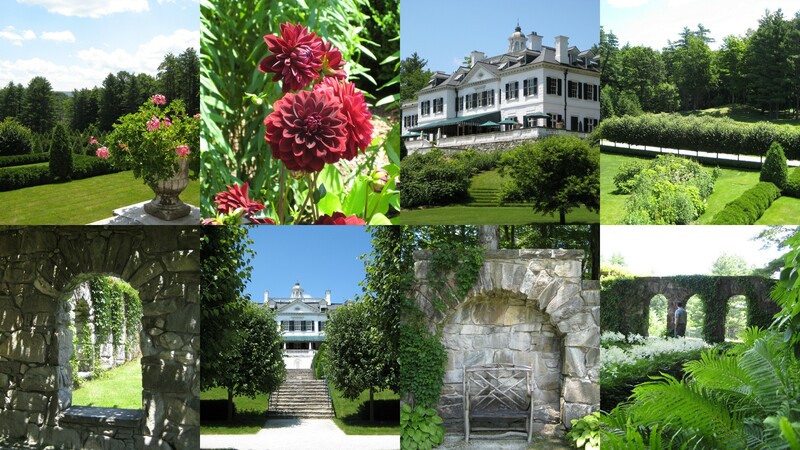 I chose a selection of shots from our visit to The Mount – once upon a time home of the writer Edith Wharton in Lennox Mass. We were there on a hot and sunny day in July of 2009. We enjoyed a cooling lemonade on the porch and strolled the gardens. It could have been 1909. I hope to go back again one day. According to the website 2012 is the 150th birthday celebration year. Today is a birthday as well. Happy Birthday Miss Murfin! Love you. I am off to the big city for a conference this week. I will be back with some pictures of tall buildings and strange structures, maybe. I love to visit the big city, but I would not want to live there. I will be glad to be back to Hedgehog Hill. Oh, and the next time you plan a trip to New England, maybe I can meet up with you there! If it will make it more fun for you, we could meet at a thrift store there! Because, you know………I’m still jealous! LOL. We could do a betty tour of New England. Lots of Betties live there! Yes, we most certainly could!! Good job at looking on the bright side! It has been a pretty snow winter. 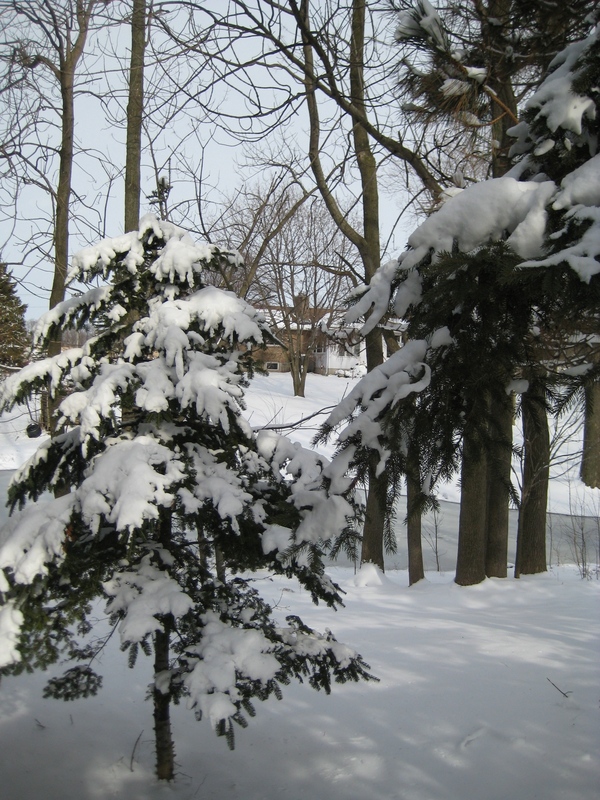 And since it keeps melting all away and then re-snowing, it is always the pretty white stuff and not the dirty grey stuff. Oh and your snow scene is gorgeous too. Really jealous about the fat fluffy snow – it’s my favorite kind! It’s the kind that can make everything in my ugly little run down “town”, look like it could possibly be Vermont! And I use the term town VERY loosely – it’s an old coal town that was once booming long ago and now consists of less than 15 actual houses, several trailers and many many abandonned trailers and cars. Why to I live here you ask? Because, it is a very lovely house – the nicest one in town which automatically makes us the mayor – and we were able to get it for a steal! When God presents you with a 2700 sq ft house on 4 lots with a pool for $45,000.00, who are we to quibble about the old adage…….location location location? So this is why I say bring on the fat snow the covers rusted objects sooo well and let me dream of a Vermonty winter.